The third characteristic of the Islamic concept is its comprehensive­ness. This characteristic also proceeds from its first characteristic, its Divine origin. It comes from the Creator Himself and not from any man, and comprehensiveness is a characteristic of what Allah has made. When we look at a human being, we see that his existence is circumscribed by time and space. He comes into being from non­existence at some instant in time and then he perishes at a later instant. He occupies a limited amount of space. These limitations of time and space apply equally to a single human being, to a generation, and to the entire human species. Man is also limited in his knowledge, experience, and comprehension. As an individual he starts to learn from scratch after his birth, and the sum total of his knowledge and experience is limited by his life span and by the places he occupies. Man as a whole is limited in his knowledge and experiences by his sensory and mental apparatus, which are given to him for performing a certain task, that of being the vicegerent of Allah on this planet. In addition to this, he is subject to his inclinations, desires, and emotions. When a human being tries to construct a metaphysical concept or a system of life through his own efforts, this concept or system cannot be comprehensive. It can only be partially valid, good for one time and place but not for other times and other places, and appropriate for one set of circumstances but not for another. Furthermore, even in tackling a single problem, he is incapable of looking at it from all possible sides and of taking into consideration all the consequences of this proposed solution, since every problem extends in space and time and is connected with precedents and antecedents beyond the scope of observation and comprehension of human beings. We therefore conclude that no philosophy and no system of life produced by human thought can have the characteristic of "com­prehensiveness." At most, it can cover a segment of human life and can be valid for a temporary period. Because of its limited scope, it is always deficient in many respects, and because of its temporariness it is bound to cause problems that require modifications and changes in the original philosophy or system of life. Peoples and nations basing their social, political, and economic systems on human philosophies are forever confronted with contradictions and "dialectics." The history of European peoples is an example of such a process. Allah Most High has ordained that this be so, and He took upon Himself the responsibility of providing mankind with the basis of true belief. Therefore, the belief system of Islam and the way of life that proceeds from it are free from the defects, contradictions, and con­fusions inherent in man-made philosophies and systems. For the same reason, comprehensiveness is a characteristic of the Islamic concept. In what follows, we provide a few examples of the teachings of Islam to illustrate the characteristic of comprehensiveness inherent in its concept. First and most basic is the explanation of the totality of existence, including its beginning, its functioning after the beginning, the various changes that take place in it, its growth and development, and its administration, governance, and regulation. The Islamic concept ascribes all this to the Will of the Eternal, the Absolute, Divine Being, Who is All-Powerful and Absolutely Free. He is the Originator of this universe and everything in it, both animate and inanimate, and the Originator of every movement, change, and development that take place within the universe. These changes occur according to a measure determined by Him alone. This Divine Being then, the Originator and the Creator, Allah Most High, is the One Who originated the universe and it is He alone who brings into existence any change or any new thing as He deems proper. The great truth of the Oneness of God (tawhid) is the primary and foremost constituent of the Islamic concept. A large portion of the Qur'an is devoted to the exposition of this sublime truth. We do not intend to discuss this subject here in any detail, because we will take it up again in the chapters entitled “Dynamism" and “Oneness." Here we will limit ourselves to a brief description of the significance and value of this belief. Indeed, this concept not only provides us with an intellectually satisfying explanation of the origin of the universe and of its function­ing and the new developments that take place in it, but also gives a reasonable explanation of the appearance of “life" in inert matter. No doubt, life is entirely different from dead matter, something great, something strange, and something planned and intended to be. The distance between inert matter and living matter is almost as great as the distance between nothingness and existence. Man is first confronted with the existence of a universe that he feels the need to understand and explain. Next, the universe confronts him with its regularities, balances, and wonderful designs, which defy any hypothesis of chance. If one were to compute the probability of any of these harmonious and well-designed natural constructions, which are all around us, on the basis of pure chance, it would be negligible. If we were to further compute the probability of the regularities of all the things we perceive, the probability would be virtually equal to zero. Thus the universe, its existence, and its intricate harmonies and well-balanced designs, must be explained by a concept other than the concept of chance. How did life originate from dead matter? How has it continued to exist? How do all the delicate balances and harmonies, computed to the minutest degree, without which life as we know it cannot be supported, exist on this planet? The Islamic concept alone possesses the capability to give satisfac­tory answers to all these questions and to explain the harmonies in the design of the universe. It has the capability to answer questions concerning the origin of this universe and of whatever takes place in it, as well as the origin of life in inanimate matter and its continued flourishing. We need not run away from any question raised, nor hide behind dogmatic assertions, nor need we dodge the question, nor take refuge in ascribing it to some undefined concept such as "nature." Indeed, the distance between nothingness and existence is so great that it cannot be traversed by human intellect. How is it that there is a universe? How is it that' 'nature" exists, if by this term is meant the physical world? How can the human intellect traverse this vast dis­tance, except by ascribing the existence of the universe to the will of the Creator Who says to a thing "Be" and it is? Anyone who would not acknowledge the will of the Creator as the sole agent of creation would be completely at a loss to find an explanation for the existence of this world. The chaotic speculations of the philosophers throughout human history bear testimony to this elemental statement. The distance between inert matter and the living cell is second only to the distance between nothingness and existence. Again, human intellect is not able to traverse this distance except by ascribing the origination of life to the will of the Creator, Who initiates what He desires and originates new creations. Yes, it is the will of Allah, "Who gives to everything its form and thereafter guides it" (Ta ha 20:50). Human intellect, indeed the whole of human nature, finds this answer agreeable. There is no denying the fact that life came to inanimate matter from a source other than matter itself, since what was absent from matter could not have come from it. Nor is it possible to say that life is one of the properties of matter but was hidden within it. How is it that life remained hidden within matter for an uncountable number of years, only to appear at a known instant, without an outside agent, and without a purpose and a goal? We here close the discussion concerning the universe and life. This topic will be dis­cussed, insha'Allah, more thoroughly in its proper place in the second volume of this work. Let us return to the characteristic of comprehensiveness, which is manifested in the Islamic teaching that everything in this universe must ultimately be ascribed to Allah. In their relation to anything and everything, His will, His power, His administration, and His planning are comprehensive. Let us refer to some verses of the Qur'an that shed light on this topic. We have created everything in due measure (Al Qamar 54:49). And He created everything and determines its nature (Al-­Furqan 25:2). With Him everything is according to a measure (Al-R 'ad 13:8). Moses said: "Our Lord is the One Who gave to each (Created) thing its form and nature, and, further, gives it guidance" (Ta Ha 20:50). Indeed, Our word to a thing, when We desire it, is that We say to it, "Be," and it is (Al-Nahl 16:40). Indeed, your Lord is Allah Who created the heavens and the earth in six periods, and is established on the Throne (of Sovereignty). He covers the day with night in swift pursuit. The sun, the moon, and the stars are subservient to His command. Indeed the Creation and the command are His. Glorified be Allah the Sustainer of the Worlds (Al-A 'raf 7: 54). And a sign for them is the night. We withdraw from it the daylight, and behold they are in darkness. The sun runs toward its destination. This is ordained by the Almighty, the All-Knowing. As for the moon, We have assigned for it phases until it returns like an old date-stalk. Neither can the sun overtake the moon, nor does the night outstrip the day. Each one swims in its own orbit (Ya Sin 36:37-40). It is Allah Who has created the animals out of water. Among them are such as crawl on their bellies and such as walk on two legs and such as walk on four. Allah creates what He wills, for verily, Allah has power over everything (Al-Nur 24:45). We made every living thing from water (Al-Anbiya 21:30). It is Allah Who splits the grain and the date-stone, brings forth the living from the dead and brings forth the dead from the living. That is Allah; then how are you deluded and led away from the truth? He makes the dawn appear, and has made the night for resting, and the sun and moon for the reckoning (of time). Such is the judgement and ordering of the All-Mighty, the AII- Knowing. It is He Who has appointed for you the stars, so that by them you might be guided in the darkness, whether on land or on sea. We thus explain Our signs for a people who have knowledge. It is He Who produced you from a single person; and then there is a place of sojourn and a place of departure. We detail our signs for a people who understand. It is He who sends down water from the sky. With it We bring forth the shoot of every plant, and then We bring forth the green leaf of it, producing from it grain heaped up (at harvest); and out of the palm tree, from the sheaths of it, dates thick- clustered, hanging low and near; and gardens of grapes, olives, and pomegranates, each similar (in kind) and yet different (in variety). Look upon their fruits when they begin to bear fruit and ripen! Surely in all this are signs for a people who believe (Al-An 'am 6: 95-99). According to the Islamic concept, even for the events whose imme­diate causes are apparent the ultimate cause and agent is the will of Allah Most High. We created you; therefore why will you not testify? Have you considered the sperm-seed you cast forth? Is it you who create it, or are We the Creators? We have decreed among you death; We shall not be frustrated in changing your forms and making you to grow again in a fashion you do not know. You have known the first form of creation, so why will you not think about this? Have you considered the seed you sow in the soil? Do you cause it to grow, or are We the growers? If We willed, you would be left to wonder (and lament): "Verily, we are ruined! We have been deprived (of our livelihood)!" Have you considered the water you drink? Do you bring it down from the cloud, or do We send it down? If We willed, We could make it bitter. Why, Then, are you not thankful? Have you considered the fire you kindle? Do you grow the tree that feeds it, or do We grow it? We made it to remind you (of Us) and as a boon to all who are lost and hungry in the wilderness (A1- Waqi 'ah 56:63- 73). We will not go any further in discussing this characteristic of comprehensiveness in respect to Allah's Oneness because it will be discussed more thoroughly, in a second volume of this series. We conclude this discussion by saying that the Islamic concept of tawhid (Oneness of the Creator) brings deep satisfaction and comfort to the human heart and intellect. This concept of tawhid connects man's being with the real causes operative in this universe, thus freeing man's intellectual energies from being wasted in fruitless speculations and in postulating causes that do not exist such as "nature" or "the intellect" or the mythical entities that have been conjured up by the polytheists and by philosophers throughout history. In the Islamic concept of tawhid all causes operational in this universe and in life ultimately originate in the hands of Allah the Almighty and are under His control and authority. We shall take up this topic again in the chapter dealing with “Dynamism." On the one side is the reality of the Divine Being and of His attributes, works, and characteristics, and on the other side is the reality of His creation, with its own characteristics and attributes. The Islamic concept deals comprehensively with both realities, the reality and Oneness of the Divine Person being the primary and greater of the two, since all creation proceeds from Him. Creation includes the universe, life, and the human being. The Islamic concept speaks comprehensively about the reality of the universe, the reality of life, and the reality of man, covering such aspects as their origin, nature, properties, and interrelationships, as well as their relationship with the greater reality, the Divine Being. The Islamic concept connects all these realities in such a coherent, natural, and logical sequence as appeals to man's intuition and intellect, indeed to the total personality of man, in a deeply satisfying manner. These descriptions intuitively are perceived as self-evident truths, which penetrate the human heart in the easiest possible manner. Furthermore, all these truths are presented so comprehensively, accurately, and in such depth and detail that they do not require any addition from any other source. Indeed, the Islamic concept cannot accept any additions to it from other sources, for it is vaster, more comprehensive, more accurate, deeper, and more harmonious and perfect than any other concept. The Islamic concept first suffered major corruption and distortion when a group of individuals, known in history as "Islamic philosophers," decided to borrow ideas and terminology from the Greek philosophers, especially theologians, and introduced them into the Islamic concept. Now, the pure Islamic concept, with its perfection and comprehen­siveness, breadth and depth, and soundness and harmony, naturally rejects any foreign element, even though this foreign element may be merely a technical' 'term" borrowed from foreign modes of thought, because each term has a historical context, carrying within it meanings and associations appropriate to its history. It is not possible complete­ly to eliminate the historical connotations from the use of a term and to force upon it an entirely new meaning. The Islamic concept has its own terminology, appropriate to its nature and its message, and its actualization in history. For a human mind to savor its delicate flavor and to understand and appreciate its full meaning, it is necessary that we present its teachings in its own original terminology. The primary objective of the Islamic concept is to inform people about their Lord, and to inform them of Allah's Person, of His glorious attributes, and of what pertains to Him alone as distinct from what pertains to His creation. It also informs them concerning His relation­ship with the universe and with people, and with all the worlds and all the peoples of the earth. The Qur'an speaks about all these matters at great length and in such a vivid and forceful fashion as to make the Person of God interact with the human soul in a living, active, and concrete relationship, surrounding it from all sides. The human soul remains linked with Him, never forgetting His presence and deriving inspiration and power from Him. All praise is due to Allah, the Lord of the worlds, the Compassionate, the Merciful; the Master of the Day of Judgement (Al-Fatihah 1: 2-4). Allah, there is no deity but He, the Living, the Eternal. Slumber does not overtake Him nor does sleep. To Him belong all things in the heavens and on earth. Who is there who may intercede with Him except by His permission. He knows what is before them and what is behind them, and they do not comprehend anything of His knowledge except as He wills. His Throne is as wide as the heavens and earth and preserving them does not weary Him. And He is the All-High, the All-Mighty (Al-Baqarah 2:255). Allah, there is no god but He, the Living, the Eternal. He has sent down upon you the Book with the truth, confirming what was before it, and He sent down the Torah and the Injil earlier, as guidance to the people, and He sent down the Criterion. As for those who reject Allah's signs, for them awaits a severe punishment. Allah is Almighty, the Lord of Retribution. Indeed, nothing whatever is hidden from Allah in the earth or in the heavens. It is He who forms you in wombs as He wills. There is no deity but He, the All-Mighty, the All-Wise (Ale 'Imran 3:2- 6). Say: "O Allah! Master of dominion, You give dominion to whom You Will, and You take away dominion from whom You Will. You exalt whom You Will and You abase whom You will. In your hands is all good. Verily, over all things You have power. You cause the night to gain on the day and You cause the day to gain on the night. You bring forth the living from the dead and You bring forth the dead from the living. And You give sustenance to whomever You will without measure" (Ale 'Imran 3:26-27). Say: "To whom belongs what is in the heavens and in the earth?" Say, "It belongs to Allah. He has prescribed for Himself mercy. He will surely gather you on the Day of Resurrection, concerning which there is no doubt. But those who have lost their (own) souls do not believe. To Him belongs whatsoever inhabits the night and the day, and He is the All-Hearing, the All-Knowing." Say: "Am I to take for my master anyone but Allah, the Creator of the heavens and the earth, when it is He Who gives nourishment but Himself needs none?" Say: "I have been commanded to be the first of those who submit (to Allah), with the command: 'Do not be among the polytheists'." Say: "Indeed, I would dread, were I thus to disobey my Lord, the punishment on that awesome Day!! Upon him who shall be spared on that Day, He will indeed have bestowed His grace. And this will be a manifest triumph. And if Allah touches You with affliction, none can remove it but He, and if He touches you with good, He has power over all things. He is the Om­nipotent over His servants, and He is the All-Wise, and the All-Aware. Say: "What could most weightily bear witness to the truth?" Say: "Allah is witness between me and you, and this Qur'an has been revealed to me, so that thereby I may warn you and all whom it may reach. Can you possibly bear witness that there are other gods besides Allah?" Say: "I do not so bear witness." Say: "He is the One God, and I truly am innocent of (your blasphemy of) joining others with Him" (Al-An'am6:12-19). Allah knows what every female bears, and by how much the wombs fall short or exceed. Everything with Him is in due proportion. He is the Knower of the Unseen and the Visible, the Great, the Exalted. It is the same (to Him) whether any of you conceals his thought or brings it into the open or whether he seeks to hide [his evil deeds] under the cover of night or walks [boldly] in the light of day, [thinking that] he has hosts of helping angels before him and behind him that could preserve him from whatever Allah may have willed. Allah does not change the condition of a people until they change what is within themselves. If Allah desires to afflict a people, there is no turning it back. Apart from Him, they have no protector. It is He who shows you the lightning, for fear and hope, and He builds up the clouds heavy with rain. Thunder proclaims His praise, and so do the angels, who are in awe of Him. He sends the thunderbolts and strikes with them whomever He wills. Yet people dispute concerning Allah, Who is mighty in power, despite all the evidence that He alone has the power to continue whatever His unfathomable wisdom wills! His is the call of the truth, and those whom they invoke instead of Allah cannot respond to them in any way, [so that he who invokes them] is like the man who stretches out his hands toward water [hoping] that it will reach his mouth, though it never does. The prayer of the unbelievers goes nowhere but astray. All who are in the heavens and on earth prostrate themselves, willingly or unwillingly, as do their shadows in the morning and evenings. Say: "Who is the Lord of the heavens and the earth?" Say: "It is Allah." Say: "Do you then take (for worship) protectors other than Him, such as have no power either for good or for harm to themselves?" Say: "Are the blind and the seeing equal? Or are the dark­ness and the light equal?" Or do they (really) believe that there are, side by side with Allah, other divine powers that have created the like of what He creates, so that this act of creation appears to them to be similar (to His)? Say: "Allah is the Creator of everything, and He is the One who holds absolute sway over all that exists" (Al-R'ad 13:8-16). To Him belongs whatever is in the heavens and the earth, and those who are in His presence are not too proud to do Him service, nor do they grow weary. They glorify Him by night and by day, without intermission. Some people have taken gods from among earthly things or beings or ideas that allegedly can raise the dead? Had there been in heaven or on earth any gods other than Allah, both would surely go to ruin. So glory be to Allah, the Lord of the Throne, far above all that men may devise by way of definition! He shall not be questioned as to what He does, but they shall be questioned, and yet they choose to worship (imaginary) deities other than him? "Bring proof! This is a reminder by those who are with me, just as it was a reminder (voiced) by those who came before me." Nay, most of them do not know the truth, and so they are turning away (Al- Anbiya 21:19-24). All that is in the heavens and the earth glorifies Allah. He is the All-Mighty, the All-Wise. To Him belong the sovereignty of the heavens and the earth. He gives life and death, and He is able to do everything. He is the First and the Last, the Outward and the Inward and He has full knowledge of all things. It is He who created the heavens and the earth in six aeons, and is established on the Throne (of authority). He knows what goes into the earth and what comes out of it, what descends from the sky and what ascends to it. He is with you wherever you are; and Allah sees all that you do. To Him belongs the dominion of the heavens and the earth, and unto Him all matters are returned. He causes the night to gain on the day and He causes the day to gain on the night. And He knows what is in your hearts (Al-Hadid 57:1-6). The Islamic concept also informs human beings concerning the nature of the universe in which they live, and its properties, and its connection with the Creator. It draws their attention to the signs of the Creator in the universe, to the possibility of the origination of life in it, and to the fact that it is made for their use and benefit by Allah's leave. It teaches them all this in a manner that appeals to human reason and to human nature, can intuitively be felt to be true, and can be verified in the natural events all around them. All this information is provided to them in some detail, and they are exhorted to study the universe, to discover its laws and its secrets, and to deal with it correctly, so that they may gain true understanding and knowledge. O you people! Adore your guardian-Lord ...Who made the earth your couch and the sky a canopy, and sent down water from the sky, and brought forth therewith fruits for your sustenance. So do not set up rivals unto Allah, when you know (the truth) (Al-Baqarah 2:22). All praise is due to Allah who created the heavens and the earth, and made the darkness and the light. Yet the un­believers hold (others) equal with their Lord (Al-An'am 6:1). Allah is He who raised up the heavens without any pillars that you can see, and is established on the Throne. He has subjected the sun and the moon [to his law], each one running [its course] to an appointed term. He directs all affairs, explaining the signs in detail, so that you may believe with certainty in the meeting with your Lord. It is He who spread out the earth and set thereon firm moun­tains and rivers. And fruits of every kind He made in pairs, two and two. He draws the night as a veil over the day. Surely in that are signs for a people who think. And on the earth are tracts (diverse though) neighboring each other, and gardens of vines, and sown fields, and palms growing in clusters or singly, watered with the same water. Yet some of them We have made more excellent than others as food. Surely in this are signs for a people who understand (Al-R'ad 13:2-4). It is He who sends down water from the sky; from it you drink and out of it (grow) the plants upon which you pasture your herds. And with it He causes crops to grow for you, and olive trees, and palms, and grapes, and all kinds of fruit. Surely in this is a sign for a people who think. And He has made the night and the day and the sun and the moon subservient for you, and the stars are subservient to His command. Surely in this are signs for a people who use their reason. And all the many things on this earth that He has multiplied for you in many hues! Verily, in this is a sign for a people who meditate on Allah and His bounties. And it is He who has made the sea subservient, so that you may eat from its fresh meat, and take from it gems to wear. And you see the ships plowing through its waves so that you seek His bounty. And perhaps you may be thankful. And He has placed firm mountains on earth, lest it sway with you, and rivers and paths, so that you may find your way, and means of orientation, and stars by which (men) guide themselves. Is, then, He who creates like the one who cannot create? Will you not then grasp the message? (Al-Nahl 16:10-17). Have you not seen how Allah has subjected to you all that is in the earth, and the ships to sail upon the sea by His command; and He holds back the heaven lest it should fall upon the earth, except by His leave? Surely, Allah is All-Gentle, All-Compassionate to people (Al-Hajj 22:65). We have created above you seven paths, and never are we unmindful of (any aspects of Our) creation. We send down from the sky water in a measure and lodge it in the earth. And most certainly We are able to take it away. And by means of it We produce for you gardens of palms and vines, wherein are abundant fruit for you, and of them you eat (Al-Muminun 23:17-19). Do you not see how Allah drives the clouds, then joins them together, then piles them in a mass, so that then you see rain coming from the midst of them? And He sends down from the sky mountainous masses (of clouds) wherein is hail. He strikes therewith whomever He pleases and He turns it away from whomever He pleases. The flash of His lightning almost blinds one's eyes. Allah alternates the night and the day. Surely in that is a lesson for those who have vision (Al-Nur 24:43-44). Have you not turned your vision to your Lord, how He lengthens the shadow? If He willed, He could make it stationary. But then, We have made the sun its guide. And then We draw it in toward Ourselves, a contraction by easy stages. It is He who made the night as a garment for you and sleep for a rest, and causes every day to be a resurrection. It is He who sends the winds bearing good tidings, herald­ing His mercy, and We send down pure water from the sky so that We may revive a dead land and quench the thirst of what We created, animals as well as humans in great num­bers (Al-Furqan 25:45-49). A sign for them is the dead land, which We revive and from it bring forth grain for them to eat. And We make therein gardens of palms and grapes, and therein We cause springs to gush forth, so that they might eat its fruits, though it was not their hands that made it. Will they not then be grateful? Glory be to Him who created pairs in whatever the earth produces, and of themselves, and of what they have no knowledge. And a sign for them is the night. We strip it of the daylight and, behold, they are in darkness. The sun runs toward its destination which is ordained by the All-Mighty, the All-Knowing. As for the moon, We have assigned for it phases until it returns like an old date-stalk. Neither can the sun overtake the moon nor does the night outstrip the day; each one swims in its own orbit (Ya Sin 36:33-40). Say: "What! Do you disbelieve in Him who created the earth in two aeons? And do you claim that there is any power that could rival Him, the Sustainer of all the Worlds?" And He set therein firm mountains and he blessed it, and equitably apportioned the means of subsistence to all who would seek it, making all this in four aeons. And He applied His design to the sky, which was (yet but) smoke (gas). And He said to it and the earth, "Come both of you, willingly or unwillingly," and both of them responded, "We come in obedience." So He decreed that they become seven heavens in two aeons, and imparted to each heaven its function. And We adorned the heaven nearest to earth with lights and made them secure. Such is the ordaining of the All-Mighty, the All-Knowing (Fussilat 41 :9-12). What, do they not look toward the sky above them, how We have built it and made it beautiful and free of all faults? And the earth We have spread out and set thereon firm mountains, and produced therein every kind of beautiful plants to be observed and thus offering an insight and a reminder to every human being who willingly turns to Allah. And We send down from the sky water rich in blessings and thereby We produce gardens and fields of grain, and tall palm trees, with shoots of fruit stalks, piled one Over another -as Sustenance for (Allah's) servants, and We give new life there With to a land that is dead; thus will be the resurrection (Qaf 50:6-11). The Islamic worldview tells human beings about life and the living, informing them concerning their respective sources. It describes some characteristics of life that can be understood and appreciated by the human mind. It informs people of the close ties they have with the animal world, for they and the animals are equally the creation of Allah and are His servants, all coming into existence by His will and sharing some characteristics that point to their common origin in the Divine will. It conveys a reminder of Allah's favor upon them in that He gave them authority and power Over many of these animals. And We brought every living thing out of water (Al-Anbiya 21:30). It is Allah who has created the animals out of water. Among them are such as crawl on their bellies, and such as walk on two legs, and such as walk on four. Allah creates what He wills, for, verily, Allah has power over everything (Al-Nur 24:45). No creature is there crawling on the earth, nor any bird flying with its wings, but are communities like yourselves. We have neglected nothing in the Book (Al-An 'am 6:38). No creature is there moving on the earth but its provision rests on Allah. He knows its lodging-place and its place of sojourn. All is in a clear record (Hud 11:6). And how many are the creatures that do not carry their sustenance? (Yet) Allah feeds them and yourselves as well (Al- 'Ankabut 29:60). And you see the earth barren. Then, when We send down water upon it, it is stirred, and swells, and puts forth every kind of beautiful growth (Al-Hajj 22:5). He brings forth the living from the dead and He brings forth the dead from the living, and He revives the earth after it is dead. In a like manner shall you be brought forth (Al-Rum 30-19). A sign for them is the dead land, which We revive and from it bring forth grain to eat. And We make therein gardens of palms and grapes, and therein We cause springs to gush forth, so that they may eat its fruits, although it was not their hands that made it. Will they not, then, be grateful? Glory be to Him who created pairs in whatever the earth produces, and of themselves, and of things they do not know (Ya Sin 36:33-36). The Originator of the heavens and the earth has made for you pairs from among yourselves, and pairs among cattle, in order thus to cause you to multiply. Like Him there is nothing. He is the All-Hearing and the AII- seeing (Al-Shura 42:11). And it is He who sent down from the sky water in measure, and We revived thereby a land that was dead. Even so you will be brought forth. And it is He who created pairs in all things, and made for you ships and animals for you to ride on their backs. So remember your Lord's favor when you are seated on them, and say, "Glory be to Him who has subjected this to us for we could not have accomplished this ourselves (Al-Zukhruf 43:11-13). Then let man consider his food. We pour out rain abun­dantly, and then We cleave the earth, splitting it, and therein We cause grains to grow and grapes and edible plants, and olives and palms, and gardens with dense trees, and fruits and pastures, for you and your animals to enjoy ('Abasa 80:24-32). Glorify the name of Your Lord the Most High, who creates (everything) and forms it in accordance with what it is meant to be, and Who determines the nature (of all that exists) and guides it, and Who brings forth herbage and then turns it into blackened stubble (Al-A'la 87: 1-5). Before Allah prostrates all that is in the heavens and every creature moving on the earth, and the angels. They do not bear themselves with false pride, but fear their Lord above them and do what they are commanded (Al-Nahi 16:49­50). Do you not see that it is Allah whose glory all who are in the heavens and earth extol, even the birds as they spread out their wings? Each knows how to worship Him and to glorify Him. And Allah has full knowledge of what they do (Al-Nur 24:41). The Islamic concept also informs human beings about man, describ­ing his origin and his source, his nature and his characteristics, his place in this existence, the purpose of his existence, his position of servitude to his Lord, and the requirements of this servitude. It then tells us the strengths and weaknesses of the human being, and his responsibilities and obligations, in fact, everything small or great related to his life in this world and concerning his destiny in the hereafter. In making this statement, we intend to do no more than describe the characteristic of comprehensiveness in the Qur'anic concept, rather than describe the fundamental constituents of this concept. This, insha'Allah, will be the topic of the second volume of this work. We confine ourselves here to quoting some verses describing the attributes of the Divine, the nature of the universe, and the nature of life. Surely We created man out of clay, of molded mud, whereas the jinn We had created before that out of scorch­ing fire. And your Lord said to the angels, "Behold, I am about to create a mortal man out of a clay of molded mud. And when I have formed him and breathed into him of My spirit, then fall down before him in prostration." Then the angels prostrated themselves, all of them together except Iblis. He refused to be among those who prostrated them­selves (Al-Hijr) 15:26-31). We created man out of the essence of clay. Then We set him, a sperm-drop, in a secure receptacle; then We created of the drop of sperm a germ-cell; then We created from the germ ­cell a lump; then We created within the lump bones; then We clothed the bones with flesh; and thereafter We brought him into being as another creature. Glorified, therefore, be Allah, the best of creators. Then, after that you will surely die, and shall surely be raised up on the Day of Resurrection (Al-Muminun 23:12-16). I have not created jinn and mankind except to worship Me. I desire of them no sustenance, nor do I desire that they feed Me. Indeed Allah is the Provider, the Possessor of Strength, the Firm (Al-Dhariyat 5:56-58). And when your Lord said to the angels, "Behold! I am about to appoint a vicegerent on the earth," they said, "Will You place on it such as will spread corruption and shed blood, whereas We extol Your limitless glory, and praise You, and hallow Your name." He said, "Verily, I know what you do not know" (Al-Baqarah 2:30). Indeed, We have honored the children of Adam, and have borne them over land and sea, and provided them with good things, and favored them far above most of Our creation (Al-Isra 17:70). We said, (to Adam and Eve), "Down with you all from (this state). Yet there shall come to you guidance from Me, and for whomever follows My guidance there shall be no fear nor shall they grieve. As for those who disbelieve and reject our signs, those shall be the inhabitants of the fire, to dwell therein (Al-Baqarah 38-39). Consider time! Verily man is bound to lose himself, unless he be of those who believe and do good deeds and counsel each other to truth and to patience (Al-'Asr 103). We indeed created man and We know what his soul whispers within him, and We are nearer to him than his jugular vein (Qaf 50: 16). We created man to toil and struggle (Al-Baiad 90:4). Did man not see how We created him of a sperm-drop, whereupon he shows himself endowed with the power to think and to argue (Ya Sin 36:77). Man is in most things contentious (Al-Kahf 18:54). Truly man was created restless, impatient when evil visits him, and grudging when good reaches him, except those who are constant in prayer (Al-M'aarij 70: 19-221). Allah desires to lighten things for you, for man was created weak (Al-Nisa 4:28). When affliction visits a man he calls us on his side or sitting or standing, but when We have removed his affliction from him, he passes on as if he never called Us during his affliction (Yunus 10: 12). If We give man a taste of mercy from Us and then withdraw it from him, he is desperate and ungrateful. But if We let him taste prosperity after hardship that has visited him, he is sure to say, "The evils have gone from me," and he is joyous and boastful (Bud 11 :9-10). Man prays for evil, as he prays for good. Man is ever hasty (Al-Isra 17:11). Nay, but man becomes insolent, for he thinks himself self­-sufficient (Al- 'Alaq 96:6-7). Consider the human soul and how it is formed in accord­ance with what it is meant to be, and how it is imbued with moral failings as well as with consciousness of Allah! As­suredly he who purifies it is successful, and he who buries it (in darkness) is truly lost (Al-Shams 91:7-10). We indeed created man in the best of molds, and then We abase him to the lowest of the low, except those who believe and do good deeds, for they shall have a reward unfailing (Al-Tin 95:4-6). Thus, in the numerous verses of the Qur'an, covering a variety of aspects of these fundamental realities, a person finds their definition and a comprehensive description of their nature and characteristics. These are the mortar, the bricks, and the foundations of the inde­pendent structure of the Islamic belief system, a system whose ele­ments as well as total design come from the Divine source. This guarantees its truth and accuracy and its perfection and comprehen­siveness, so that it needs no addition from any other source. All other sources, having only partial and speculative knowledge, are lost in a wilderness and are themselves in need of a guide. We turn now to another aspect of the Islamic concept's comprehen­siveness. In ascribing everything that exists, things, life, animals, and human beings, to an all-inclusive Will, and by presenting all the fundamental realities, the reality of the Divine Being which is the greatest and the most fundamental reality, the reality of the universe, the reality of life, and the reality of man in this comprehensive manner, that is by presenting everything comprehensively, the Islamic concept addresses the human being from all sides, responds to all his needs and aspirations, and makes him turn his face in one direction, namely, the direction of the One who is the Creator, Owner, and Governor of everything. Then he will ask what he wants only from Him, seek only His pleasure, fear only His anger, and turn to Him alone with hope and with fear and with all his being. Thus man, in his entire being, is directed to one Source, so that he will receive from that Source all his concepts and ideas, his values and standards, and his rules of conduct and laws of behavior. He will find a satisfactory response to all his questionings and yearnings from this Source alone, whether they relate to the origin of the universe and of life and man, or to his own life situations. Man's personality is thereby integrated. His concepts and ideas, behavior and responses, beliefs and actions, ways of learning and receiving, attitude toward life and death, efforts and activities, con­cerns about his health and provision, and his life in this world and his desires for the Hereafter are all tied together. He need not seek solutions to various problems from different sources, nor face oppos­ing challenges, nor run on diverging paths. Human personality, thus integrated, attains its highest station, the station of' 'unification." For, indeed, the Creator is One, and existence, with all its diversity of forms, shapes, and phenomena, is a uni-verse. The essence of life, with all its varied species, is one, and the essence of man, with all man's individual variations and potentialities, is one. And so, likewise, the purpose of man's existence, which is to worship his Creator in spite of a variety of forms of worship, is one. An integrated human per­sonality thus becomes harmonious with the rest of existence. At this stage of harmony with' 'the Reality" in all its aspects, the human personality attains to the highest power of which it is capable. The human personality, being in perfect harmony with the universe with which it interacts, and with everything that influences it and is influenced by it, becomes capable of marvelous achievements and of great deeds. A glorious example of integrated personalities was the community of the first generation of Muslims, through whom Allah brought about tremendous changes on the face of the earth with lasting effects in the life and history of mankind. Whenever such a group of people appears again -and by Allah's permission it will reappear some day -Allah will bring about great changes through it, no matter what obstacles are placed in its way, because the phenomenon of the unification of all human faculties is an irresistible force, a force coming from the very core of this universe, from the direction of the Originator of this universe, and against which no obstacle can stand. Another expression of the integration of the human personality is the movement of all human actions in one direction toward the purpose of human existence, which is worship, namely, worship embracing all the activities of man in the service of Allah alone as Allah's vicegerent on earth. This integration of personality and of all activity is a distinctive characteristic of Islam. Islam, on the one hand, offers an explanation of all the realities of existence that face a human being, and on the other, gives direction to all human activity. Only in Islam does a person live for the Hereafter while living in this world, engage in the service of Allah while working to earn his sustenance, and attain human perfection, which is the aim of his religion, while being engaged in the day- to-day affairs of the world, because this is his function as the deputy of Allah on earth. Islam demands only one thing from him: that he be sincere in his commitment to Allah in whatever he does, whether it be formal worship or the deeper prayer of worldly activity. The sincerity of man toward Allah means that he turns toward Him in all his actions, intentions, and pursuits, while taking care not to transgress the limits of what is permissible. It should be mentioned here that the circle of things and actions that are permissible is very wide and includes all that is good, because Allah has created man with needs that are to be fulfilled and with faculties that are to be used. Through the operation of these integrated faculties, man realizes the purpose of his existence in comfort and ease, in peace of mind, and in the total freedom that comes through a total commitment to Allah alone. This characteristic of comprehensiveness makes Islam a com­plete system of life, consisting of a heart-felt faith and of a way of life that is not in contradiction to this faith but proceeds from it. Unifica­tion of belief and practice is the nature of the Islamic din and any separation between the two rends and corrupts it. The division of human actions into “worship" or ibadat and "human affairs" or mu 'amalat, which we find in the books of Islamic jurisprudence, was introduced in the beginning merely for technical reasons in order to present different topics in a systematic manner. Unfortunately, with the passage of time, this produced the erroneous impression in people's minds that the term' 'worship" applies only to those actions that are included under the title "jurisprudence of Worship." The application of the term "worship" to "human affairs" gradually faded in their thought. Undoubtedly this was a grave distor­tion of the Islamic concept, which eventually resulted in producing deviations in the Muslim society. In the Islamic concept there is not a single human act to which the term' 'worship" is not applicable or in which this property is not desired. Indeed, the Islamic way of life is nothing but the realization of the meaning of worship from beginning to end. The ultimate aim of the Islamic way of life is not a system of justice, or a system of economics, or a system of legislation concerning criminal, civil, or family affairs, or any other of the rules and regula­tions that are part of this way of life. The only aim of Islam is the establishment of the meaning of' 'worship" in human life as accord­ing to the Qur'an, it is for the worship of Allah that man was created. No human action can be called worship of Allah unless it is done for the sake of Allah alone, and with a recognition that He alone deserves to be worshipped. Either this is the case or the act is not worship, and hence not in the service of Allah, and in fact, is therefore a rebellion against the din of Allah. If we refer to the Qur'an concerning the acts that our scholars have called' 'worship," we find that such acts are not discussed separately from the other acts that they have termed "human affairs." Indeed, both kinds of activities are intimately connected in the text of the Qur'an, as both form parts of the "worship" that is the purpose of human life, worship signifying total submission and commitment to Allah Most High alone and the ascription of divinity and sovereignty to Him alone. As a result of this classification in the scholarly books, with the passage of time people came to understand that they could be "Mus­lims" if they performed "the acts of worship" in accordance with what Islam prescribes, while in "human affairs" they could follow other systems not necessarily coming from Allah but from some other, little" deity" who legislates for them in secular affairs in contradiction to Allah's commandments. This is a great illusion, for Islam is an indivisible unity, and any person who divides it into two parts, in the manner mentioned above, is a rebel against this unity and therefore against this din. This is a great truth, and any Muslim who wishes to practice his religion faithfully, and thus wishes to realize the purpose of his existence, must turn his full attention to it. The objective should be to correct not merely one's belief, although the correction of Islamic belief is an extremely important matter in itself, since the whole system of life depends on it. The importance of tawhid and an integrated life is also manifested in one's very style of life, which attains the highest rank of perfection and greatest value when it becomes entirely dedicated to the worship of Allah, and when every action, whether small or great, becomes a part of this worship. When we consider the great meaning hidden in the concept of worship, which is to ascribe divinity to Allah Most High alone and to acknow­ledge that He alone deserves our servitude, we realize that to be a committed servant ('abd) of Allah Most High is the highest position a man can attain and that without this commitment human perfection is not possible. This was the station that the Messenger of Allah, may peace be upon him, attained during his most exalted moments, while receiving the revelation from Allah and during the Night Journey and Ascension. Glorified be He who has sent down the Criterion upon His servant so that he may be a warner to the worlds (Al-Furqan 25:1). Glory be to Him who carried this servant by night from the Sacred Mosque to the Further Mosque, the precincts of which We have blessed, so that We might show him some of Our signs. He is the All-Hearing, the AII- Seeing (Al-Isra 17:1). 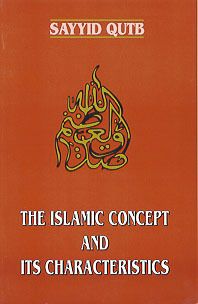 In this regard, Muhammad Asad (Leopold Weiss), in his book Islam at the Crossroads, presents some profound ideas concerning the differences between the Islamic concept and other concepts, and explains how the Islamic concept takes human beings to the highest level in the life of this world. In the chapter entitled' 'The Open Road of Islam," he says: "Thus, the conception of 'worship' in Islam is different from that in any other religion. Here it is not restricted to the purely devotional practices, for example prayers or fasting, but extends over the whole of man's practical life as well. If the object of our life as a whole is to be the worship of God, we necessarily must regard this life, in the totality of all its aspects, as one complex moral responsibility. Thus, all our actions, even the seemingly trivial ones, must be performed as acts of worship, that is, performed consciously as constituting a part of God's universal plan. Such a state of things is, for the man of average capability, a distant ideal; but is it not the purpose of religion to bring ideals into real existence? "The position of Islam in this respect is unmistakable. It teaches us, firstly, that the permanent worship of God in all the manifold actions of human life is the very meaning of this life, and, secondly, that the achievement of this purpose remains impossible so long as we divide our life into two parts, the spiritual and the material. They must be bound together, in our consciousness and our action, into one har­monious entity. Our notion of God's Oneness must be reflected in our own striving towards a co-ordination and unification of the various aspects of our life. “A logical consequence of this attitude is a further difference between Islam and all other known religious systems. It is to be found in the fact that Islam, as a teaching, undertakes to define not only the metaphysical relations between man and his Creator but also -and with scarcely less insistence -the earthly relations between the individual and his social surroundings. The worldly life is not regarded as a mere empty shell, as a meaningless shade of the hereafter that is to come, but as a self-contained, positive entity. God himself is a Unity not only in essence but also in purpose; and, therefore, His creation is a Unity, possibly in essence, but certainly in purpose. It is He who is God in heaven and God on earth (Al-Zukhruf ­43:84). Muhammad Asad, Islam at the Crossroads (1955). Arafat Publications, Lahore, Pakistan, pp. 17-20.